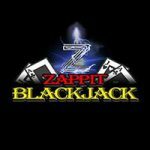 SpinIt is a slots specialist promising to provide “fast service, unbeatable offers and top-notch games”, and this is exactly what they deliver. And more! 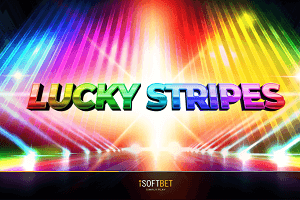 Colourful, fun and user-friendly website allows access to close to 700 slots, but also a huge selection of table games, video pokers, and an impressive Live Casino, quality of which is guaranteed thanks to NetEnt, Microgaming, Nyx, Play’n Go and Evolution Gaming. Take advantage of a generous €1,000 welcome bonus and 200 free spins, join SpinIt now and spin to win in a completely safe and fair online gaming environment. 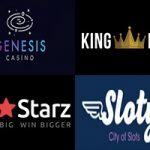 Even if it was launched as recently as September 2016, SpinIt Casino has certainly benefited from the experience of its operator, Genesis Global. The same company boasts a well-known and exceptionally well rated Casino Cruise, and it seems SpinIt has inherited quite a few of its older sister’s strengths without becoming an exact replica. Highly regarded UKGC and MGA licenses inspire trust, and an eCogra seal of approval further confirms this gaming venue practices fair play and responsible operator conduct. 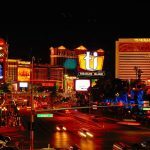 As that is usually the case, not everyone gets to enjoy what the Casino has to offer, but in this case, the list of restricted countries is relatively small. Keep reading our SpinIt Casino review to learn more about the up-and-coming gaming venue. Aiming to give new members “a spinning head start”, SpinIt has prepared a welcome package containing as much as €1,000 in bonuses plus 200 free spins on Starburst. All free games will be awarded once you make your first deposit of €20 or more, with the addition of 100% match up to €200. The second deposit is rewarded with 50% bonus up to €200 (Code: WSPINT2), and the third (Code: WSPINIT3)and fourth (Code: WSPINIT4) with 25% up to €300 each. Click here for full Bonus Terms & Conditions. The bonus will have to be wagered 40 times before it gets converted to your real money balance, which is a bit on a high side, and the time frame to do it is only 14 days – very short! 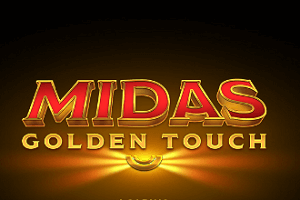 While video slots count 100%, there is a number of exceptions so you better check Bonus T&C before betting real cash. As far as other games go, classic slots contribute 75%, all table games 10%, and all Video Pokers 5%. We often see that deposits made via Skrill or Neteller don’t qualify for the welcome offer, and it’s also the case here. Meanwhile, Swedish players receive a 100% first deposit bonus up to 2,000 kr. 18+ | Spela ansvarsfullt | www.stodlinjen.se | Regler & Villkor gäller. Every Monday you’ll get to boost your balance thanks to a 25% bonus up to €100, and every Wednesday offers a chance to score free spins and a reload bonus on the Game of the Week, providing you have made a deposit and played during the previous week. While SpinIt also features a VIP club, they’re not very transparent on how to become a VIP spinner. They do mention that you should “keep your eye on your inbox and your account”, indicating the club is by invite only. So I may not be able to tell you how, but I can inform you about the benefits you’ll get to enjoy once they bring you in. These include premium customer service, exclusive weekend promotions, birthday bonus, personal cashback offers, exclusive bonus plans, and a monthly prize draw. 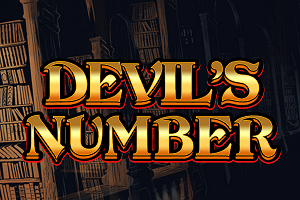 When you face a library counting more than 1,200 games, and you see they’ve been provided by some of the best developers in the online gaming industry, you will have already decided to stick around for a while. NetEnt, Microgaming, Nyx and Play’n Go games are all accessible online (no downloads) and you can play every single one for free if you select Practice mode. Collection of close to 700 slots (wow!) includes popular titles such as Gonzo’s Quest, Spinata Grande, Troll Hunters, Thunderstruck II, Turning Totems, Wild Toro, Hugo, a Great Wild Elk, and many, many, many more. 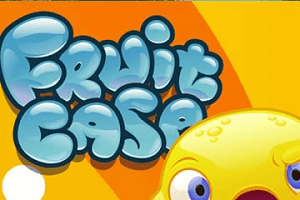 An exceptionally large choice of classic slots offers the likes of Jackpot Jester 50,000, Irish Gold, Zany Zebra and Fruit Fiesta. It’s evident this is a well updated library which gets promptly stocked with new titles as soon as they are launched. One of them is La Rouge, an exciting new Microgaming slot with the Hollywood film noir theme and plenty of special features, such as retro movie theatre mini game and a 5-level Starlite bonus game. Jackpot section is home to about 30 progressives, with multi-million wins offered via Hall of Gods, Mega Fortune, Mega Moolah, Major Millions and Arabian Nights. 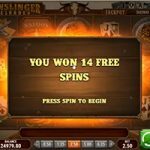 Since the Casino has declared itself a slots specialist, I did not expect to find such a large choice of other games – but there’s tons of them! 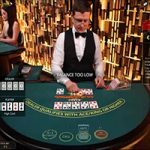 Selection of almost 90 table games includes interesting varieties such as Triple Pocket Hold’em Poker, Multi Wheel Roulette, Hi Lo 13 European Blackjack, Mini Baccarat and Red Dog. High and low limit variants make sure popular table games can be enjoyed no matter the size of your bankroll. Switch to Video Pokers and you’ll find almost 40 of them, amongst which Louisiana Double, Magic Poker, and Deuces Wild Power Poker. And still, there is more! Over 60 other games include Keno and Bingo varieties, arcade and virtual games, and scratch cards. The only issue you’ll have after entering SpinIt Live Casino is which of the 50 tables to join. 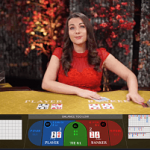 Roulette fans have a fantastic choice which includes Double Ball and Fiesta Roulette, while those of you who prefer cards get to test your skills at a game of Common Draw Blackjack and Blackjack Party, Baccarat Controlled Squeeze, Texas Hold’em and Caribbean Stud. A large number of VIP tables will welcome high rollers, but no matter which table you choose to sit at, an exceptionally authentic live gaming experience is guaranteed. Why? 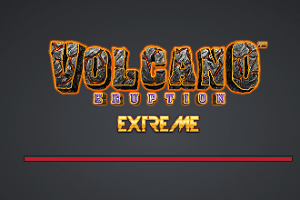 Because the majority of games have been developed by the absolute leader within this category, Evolution Gaming. To give you even more choice, SpinIt has added a number of those produced by NetEnt, as well as rarely seen Lucky Streak. The Casino invites you to spin anytime and anywhere with the help of an Android or iOS mobile device. Launching their mobile site via the browser of my Android tablet, I’m happy to see SpinIt has lost nothing while migrating to a smaller screen. Ok, some of the games didn’t make it, but I’m still offered to choose among more than 330 slots, close to 40 other games, and as many as 25 live ones. Honestly, that’s more than many other online casinos provide within their desktop version! Fantastic! All payment methods are PCI-complaint and SSL encryption technology applied to all information exchanges. You’ll easily find the preferred one as the generous list includes debit and credit cards, E-Wallets, Prepaid Cards, Instant Banking, and Bank Transfers, plus a mobile payment option. Minimum limits for both deposits and withdrawals are set at friendly €10. SpinIt will allow you to cash out a maximum of €22,000 per month and no more than €5,500 weekly, no fees charged. All withdrawal requests will be reviewed and processed within 24 to 48 hours. The long list of accepted currencies includes AUD, CAD, EUR, GBP and USD. Click on the Support tab at the top of the screen and you’ll be able to launch Live Chat or learn about other direct contact options. Personally, I always check FAQ list prior to contacting support agents, so I don’t unnecessarily take up the time which could have been better used to help a fellow gamer with a real problem. In this case, the list has managed to answer the majority of my questions, but if I needed help, I’d be able to get it no matter when. Support team stands by 24/7 and will happily engage in a chat or telephone conversation, or an email exchange, offering assistance in English, German, Swedish, Finnish and Norwegian. While featured social network icons would indicate you can contact the Casino via Facebook and Twitter, that’s actually not the case; links are either broken or respective pages non-existent. It’s such a treat to see the same operator deliver two completely different gaming sites while maintaining same high standards. 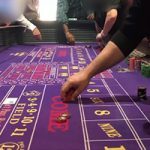 The success of Casino Cruise might have been tempting enough to do a simple copy-paste and dress it in different clothes, but instead, we’re given a unique new online casino which performs above average across the board. 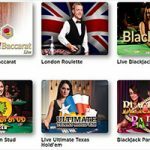 Huge gaming library caters equally well to fans of slots, table games and video pokers, and Live Casino delivers both on quantity and quality. 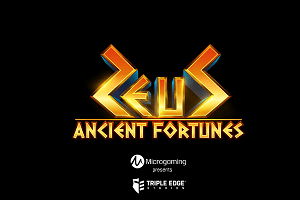 Offering what is surely one of the best online options for those looking to experience authentic live gaming. Massive welcome offer loses some of its appeal due to high wagering requirements which need to be met in a very short period of time, and high rollers would surely appreciate higher maximum deposit and withdrawal limits. Other than that, there’s nothing else one can complain about, and Casino Bloke is more than happy to recommend that you give this fun, exciting and safe gaming venue a try.